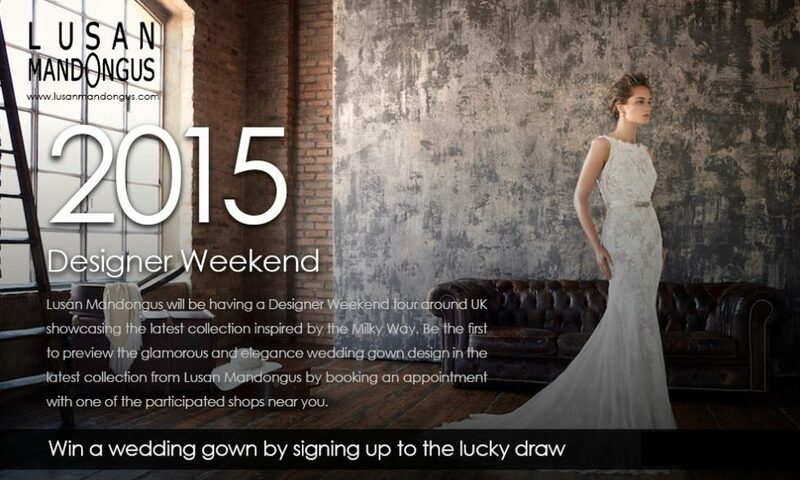 The Lusan Mandongus Designer Weekend 2015 is showcasing a various collection, from the latest 2016 bridal collection, to 2015 and the classic collection. All wedding dresses are selected to impress the brides-to-be about what a Lusan Mandongus bride is look like, in the meantime, to provide a more complete collection to bride-to-be for her wedding’s choice. The sensuous richness of swirling, rococo-style forms on the wedding dresses bring a sense of dramatic tension and emotional exuberance, transpired in a collection of wedding dresses that are heavily embroidered in beadings to demonstrate the depths and lushness of infinite space. 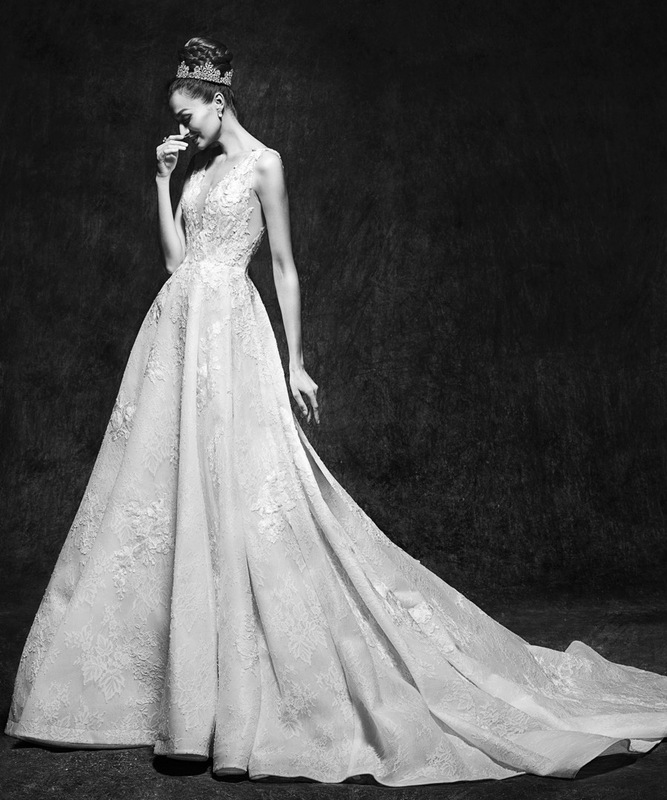 The 2015 bridal collection, named “A Story of Romance”, was inspired by “Salut d‘Amour (Love’s greeting)” and the poem “The Wind at Dawn”, where the designer infused elements of romanticism into its design, showcasing a collection full of love, and yet preserving the brand’s soul spirit, timeless elegant. 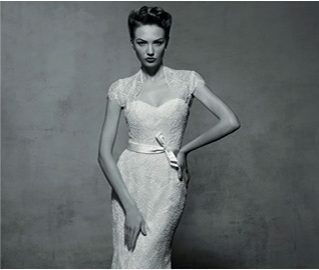 The designers decided to destroy the lace in origin and rearrange to breath a new life to this lace, creating a unique symmetrical lace pattern, which to be applied on the wedding dresses, with contemporary and glamour designs. 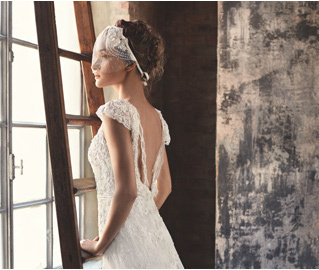 The symmetrical detail adorns the bride for a graceful and romantic look on the big day. 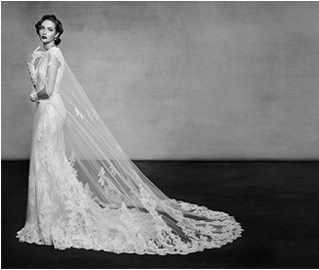 The classic collection is offering brides-to-be who are seeking for a timeless look that is sophisticated, femininity and elegance.